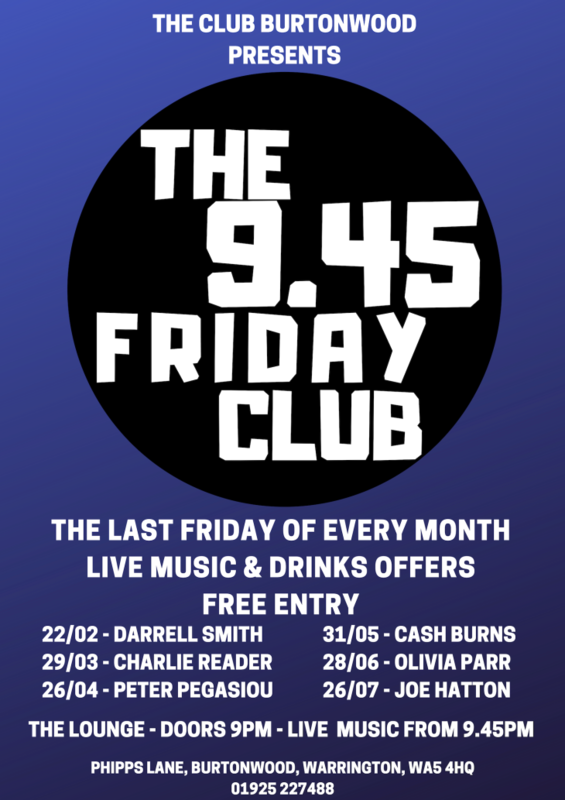 We’re bringing you the very best in live solo singer / acoustic guitarist music to the last Friday of every month with our new format 'The 9.45 Friday Club'. The Lounge doors will swing open at 9pm with the live music covers starting at 9.45pm, plus we’ll have a variety of drinks offers on!!! Each night is FREE ENTRY so make sure you join us for more brilliant live music, great drinks offers and a fantastic atmosphere!